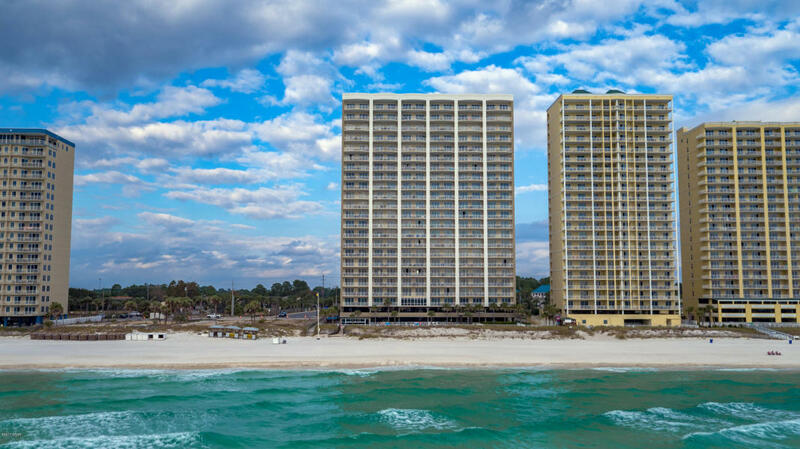 Gulf Front 2BR/2BA Condo. This unit has one of the largest balconies on the beach, 10'deep 28'wide (271 sf) with breath taking views of the most amazing sunset!!! One of the newest complexes in PCB. Gulf Front Master suite opens to the balcony as well as the living area. This is a one owner unit that has been a non rental. New AC 2018, Granite counter tops, custom cabinets.